Shimmering Ivory stunning, unique bridal collection is designed and created by Sian Hughes Cooke and her team in Harpenden Herts - close to St Albans and only an hour from London. The latest wedding dress collection is created from sumptuous silks, exquisite haute couture embroideries, delicate Chantilly laces, Swarovski crystals, seed pearls and dramatic feathers. 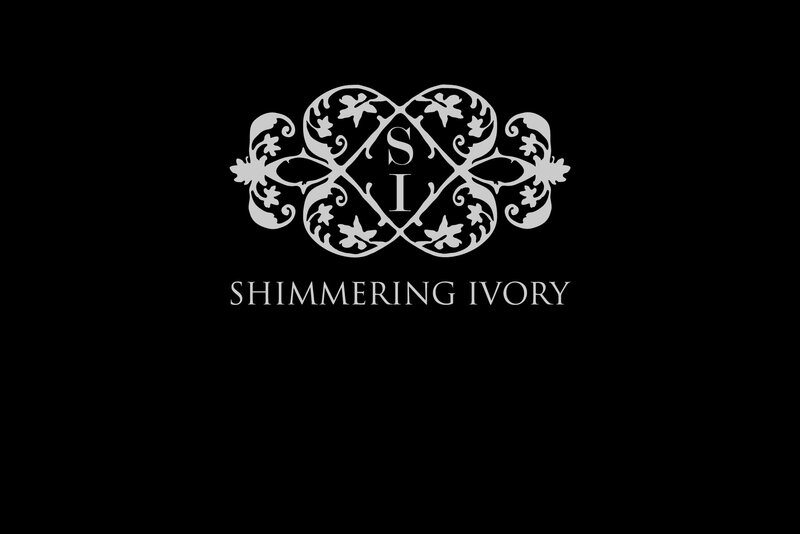 Sian’s 20 years of experience as an international designer ensured that Shimmering Ivory had covered all the top trends for the season including a huge focus on gorgeous back details to ensure you look amazing walking down the aisle! One of her stunning dresses has a dreamy, delicate low back detail, another was a fragile hand beaded butterfly - on a sheer tulle which seems as if it were floating on air. 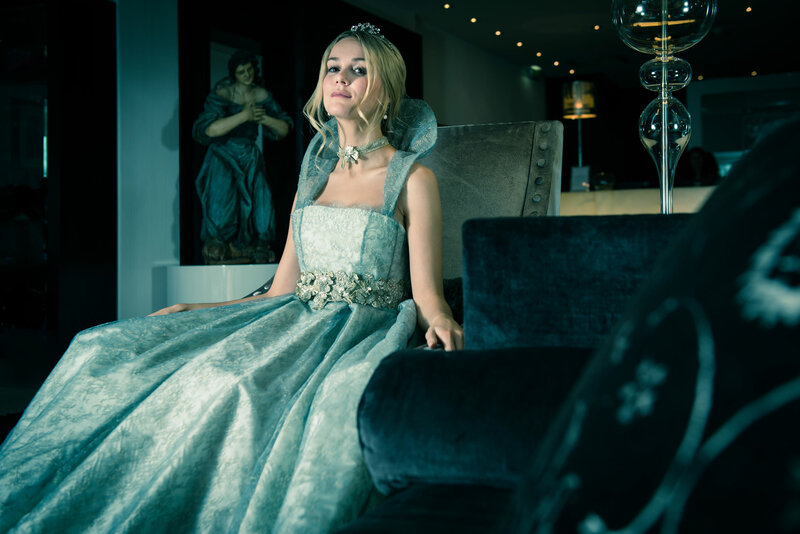 The dresses range from fitted corsets to flowing silk gowns and create an overall theme of drama, glamour and luxury. 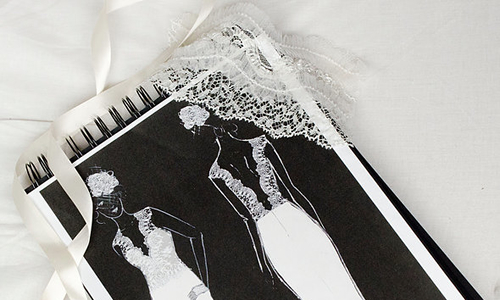 Bespoke wedding dress design is what Sian does best. Her work, which included working on concepts for the now acclaimed $15 million Millenium Diamond bra for Victoria Secret, has taken her all over the world. 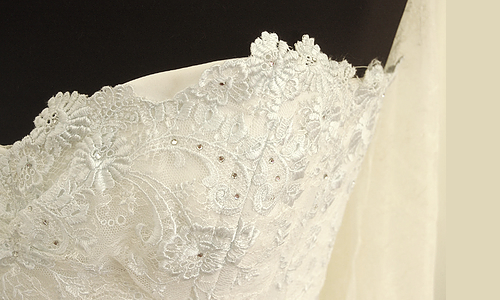 Sian’s dresses are truly one of a kind, all hand-stitched in house by her experienced team. 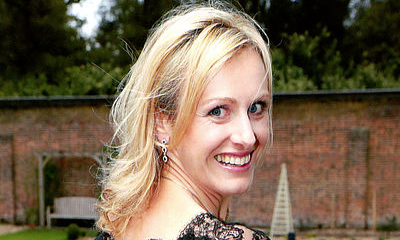 They are available to order and the client has the privilege to design their own unique dress to ensure that no one else will ever have the same gown giving the client the opportunity for a bespoke, personal service.